The draft of the Interception and Surveillance Ordinance (‘the Ordinance’) would resume its second reading at Legislative Council this week. 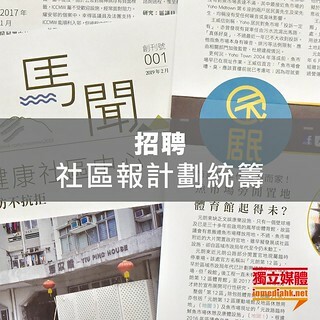 Various civil groups and Legislative Councilors have repeatedly expressed their concerns on the obsolete articles which overlooked privacy loopholes. Nonetheless, the authorities have refused to address the need to thoroughly amend the laws and rushed through its second reading. On top of that, it simply refused to respond to whether the laws would cover online instant messengers, including whatsapp, telegram, etc (text, image and audio). court warrant, and if not, they can obtain data from the terminal of the programme or saved data at the telecom companies. Messages, usernames, IP addresses and login records are all no longer dependent on interception technologies – “line hooking” (as commonly known, intercepting telephone calls). As technology develops, “interception” becomes ambiguous in terms of definition, and as personal data may fall into wrong hands, it is harder to monitor how the authorities “intercept” citizens’ data. In the past five years , the authorities have made 1000 applications to the Court for authorization, but they have in fact sought information from local and internet services suppliers for 4000 or above times. This 4000 cases are completely out of the supervision of the Ordinance. Some law enforcement bodies have in the name of crime deterrence made use of the technology, and established a monitoring list to intercept information including shopping and searching records. They have simply ignored civil rights. The Hong Kong In-media demands that, if the Ordinance does not apply to instant messenger applications, its regulation remains unhelpful, if not non-existent. Besides, the media reveals that the ICAC and the Police have approached international hackers for the purchase of a software named Galileo Remote Control System. It reflects that the Ordinance does not mend the loopholes regarding instant messenger, and, contrary to the legislative aim of privacy protection, does not monitor the work of law enforcement bodies and the power of the Chief Executive. 1. The Security Bureau shall restate the legal definition of “interception”, that is, besides line hooking, does “seeking personal data (including messages, text, photos and audio) from telecom companies and internet services providers” included as “interception”? 2. In order to ensure full supervision under the Ordinance, the Security Bureau and the Commissioner on Interception of Communications and Surveillance shall demand the ICAC and the Police to report in details the matter with the international hackers, the Hacking Team, including the purchase of hacking software, related cases and details of internet monitoring software, including suppliers, software versions, monitored cases and charged cases after purchase. 3. The Security Bureau shall impose heavier penalty under the Ordinance, and specify the criminal elements under the illegal interception and surveillance. This is to honour what the Secretary for Security promised in 2006 that the authorities shall review the Ordinance and impose heavier criminal sanctions. In the annual report of the Commissioner, it is reported that the authorities violated the regulations regularly in the past 9 years, and the relevant persons were only warned orally. This reflected the limited effectiveness of the Ordinance. 4. From the worldly known Snowden Incident, to recent incident that the US FBI via a Court warrant demanded the Apple of backdoor cut, it is crystal clear that, the law enforcement bodies, no matter democratic countries or not, may violate the privacy lines and incline to intercept the citizens. This conflicts between investigations and privacy in democratic countries grow more vigorous. In the Age of Megadata, the government of the international city has proclaimed its policy focus on creative industries. If the authorities expected its citizens and visitors to stay, travel or conduct business, it shall ensure that there is privacy protection. The Security Bureau must keep its pace up-to-date regarding internet privacy protection, and review, discuss, research and make relevant bills as soon as possible. 5. To ensure professional privilege to news materials . * This statement would be delivered to the Secretariat of the Bills Committee on Interception of Communications and Surveillance ( Amendment) Bill 2015, its Bills Committee members, the Security Bureau, the Police, the ICAC and the Secretariat of the Commissioner on Interception of Communications and Surveillance.